is a modern enterprise and has already been recognized as the one of leading manufacturers in Reflective Warning Triangle and safety products. Over the passed few years, our company is dedicated to creating innovative products which enhance our competitiveness in order to satisfy the clients throughout the world. It is driven by our three company principle which is market oriented, new technology development and comprehensive customer services. 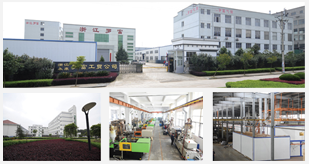 With the strong ability of R&D and production, we are ready to satisfy our customers with high quality, on time delivery and diversified products. Now, our products have been exported to USA, Canada, Europe, and South-east Asia, etc. and received high reputation.